DIY Foundation Repair – Is It Right for You? Who doesn’t love the feeling of accomplishment? 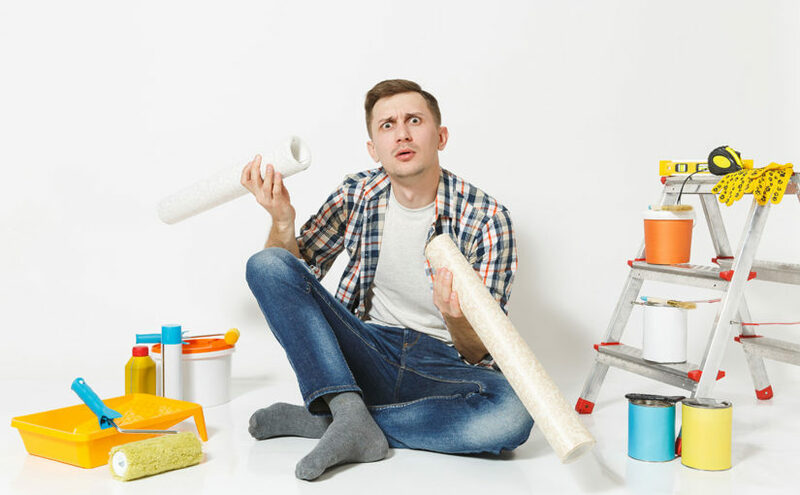 The pride, money savings and bragging rights at the completion of a successful DIY project are just a few of the reasons Americans just love to “do it themselves.” However, not every job around the house – or under it – is best tackled by a fix-it minded homeowner. Is DIY foundation repair right for you? Just like there’s a difference between installing a new light fixture and rewiring an entire home, sealing a hairline crack and waterproofing the exterior of a home’s foundation are quite different tasks to undertake. Know your limits and trust your gut (or your spouse’s gut!) Don’t put your health or your property at risk. Basement windows can be a source of leaks. Many of the causes are easy fixes for a homeowner and can be DIY success stories. Occasionally, the problem is bigger than a weekend DIY project. Basement leaking can also originate from the walls, the floor or even the footers. If you experience water seepage, you may be tempted to simply caulk a crack and consider it a DIY success. However, basements are the foundation of your home, so “out of sight, out of mind” is not a good motto! If you have visible signs of leaks or water damage, a professional inspection can determine the cause(s) and solution options. Damp, dark basements are the perfect combination for mold and mildew growth. Both forms of fungi can cause allergic reactions. In fact, black mold can cause serious health problems. Mold growing near a window may be a DIY project and the solution as simple as waterproofing window wells. Mold growing in carpets or on walls could indicate a cracked foundation. DIY foundation repair can remedy small cracks. Larger cracks and water issues may be an indicator that professional waterproofing is needed. Moisture, if left unchecked, can cause damage to items in the basement, leave furniture and clothing smelling musty and lead to mold and mildew problems. Additionally, damp basements are like an all-inclusive resort for bugs! A dehumidifier can easily remove moisture from your basement and is a simple DIY fix for a damp basement. Consumer grade materials aren’t designed for the needs of fully waterproofing a foundation. Some basements need specialized solutions like heavy duty drainage boards or insulating materials that aren’t readily available. Using inferior products can hide issues until they become major disasters. Professionals use materials that meet industry standards and are up to state codes. A crack in your basement may not need the same fix as a crack in your neighbor’s basement. Cracks could indicate normal settling or they may mean you have an underlying problem. Avoid unnecessary repairs by getting a professional inspection before jumping to DIY conclusions. There is the risk of damage to your foundation or, in extreme cases your entire home, if you attempt repairs improperly. Additionally, do you know if your repairs require a permit or meet your local codes? A DIY fix today that isn’t up to code could become an expensive issue when it comes time to sell your house in the future. Hiring a reputable professional who guarantees their work can cost less in the long run. When a do-it-yourselfer thinks of personal injury, sore muscles or simply “overdoing it” generally come to mind. Improperly sealing or repairing a foundation could result in far more than an aching back. Depending on the severity of the structural damage that you are trying to repair, there is the possibility of structural supports buckling. This could lead to a ceiling cave-in. Not knowing where power lines come into the home when digging outside to seal the foundation or if hidden wires become exposed during repairs indoors make electrocution a risk you could face. Now what? You bought the supplies at the hardware store, followed all the YouTube instructions and your basement still leaks. After the initial disappointment and maybe a few I-told-you-so’s from your spouse, you still need to call in a pro. You end up paying twice for the same repair. That’s like salt in the wound of a failed DIY attempt. Save face and time; avoid the agony of defeat. Find out beforehand if your foundation repair is a DIY task or if it’s better left to the professionals. The best way to keep your basement dry is with professional waterproofing. EverDry Toledo can help with a FREE 20-point basement inspection! We’ll help you find out if your home is at risk for water damage and which solutions will best serve you. Contact us online to schedule an appointment or give us a call at (419) 469-5833 and schedule your inspection today! Stay connected with EverDry Toledo on Social Media to learn more basement tips and tricks! Previous Previous post: What is a Michigan Basement & How Do You Protect it from Water? Subscribe for the Latest News! What Is Weeping Tile? Is It Important for My Home?